The Caravan - great for couples! 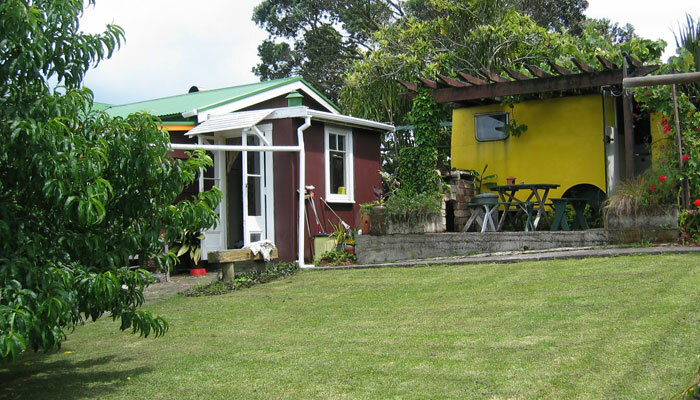 Pukeko Cottage is just five minutes walk from Russell Wharf in New Zealand’s beautiful Bay of Islands. 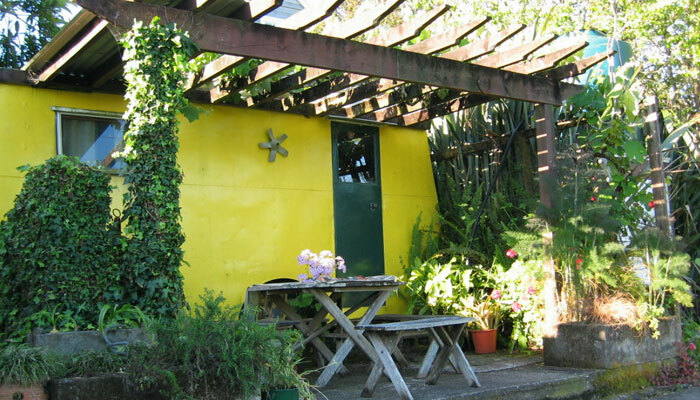 This 1920s character cottage enjoys a superb location on the hill just above town and with beaches, cafes, restaurants and tourist attractions all within easy walking distance. 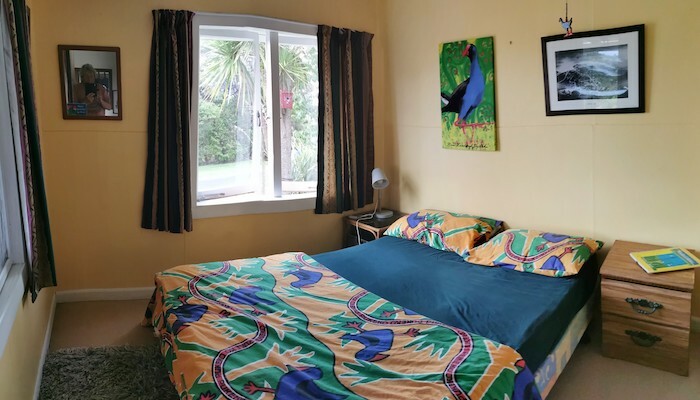 No dormitories, just comfortable beds in well appointed bedrooms, with cosy living areas and an extensive garden to relax in. 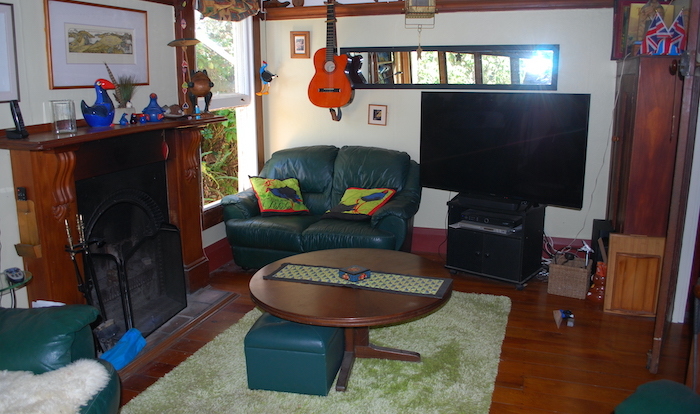 There are 3 rooms available all cost $30 per person per night shared or $60 per night for a whole room to yourself. 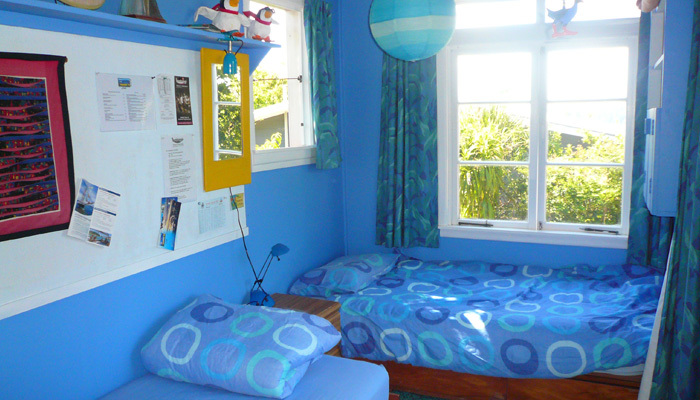 The Gold Room has a double bed with a single bunk above, the Blue Room has 2 single beds and a private balcony with sea views. The Caravan has one double bed. The pukeko is one of New Zealand’s most endearing native birds – a cheeky swamp dweller with long orange legs and indigo plumage. Address 14 Brind Rd. Russell, Bay of Islands, New Zealand. 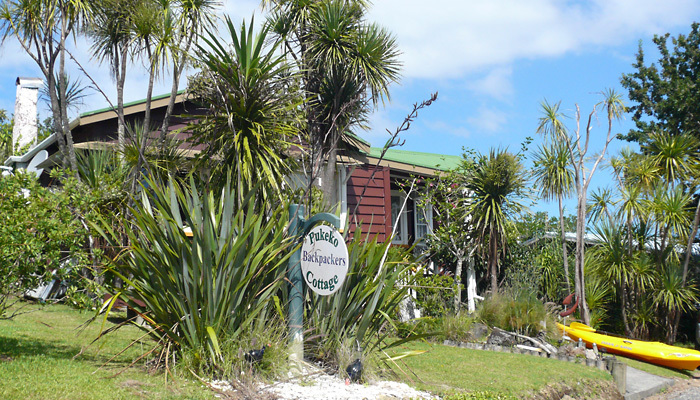 If you’re traveling from Paihia it’s a short walk from the ferry. Coming from the Opua car ferry turn right up Roberton Rd. just before entering the town. 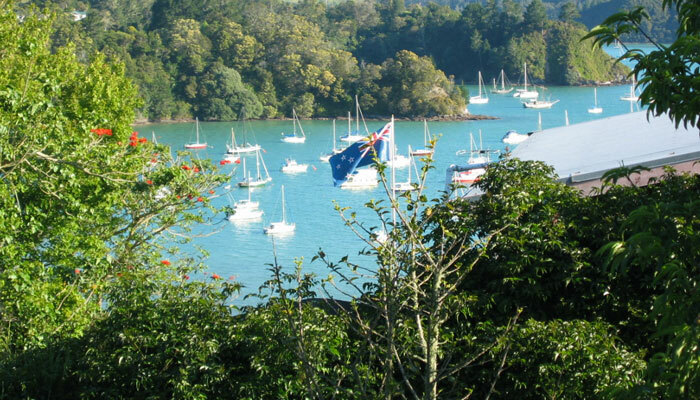 The Bay of Islands is a 3.5 hour drive from Auckland.